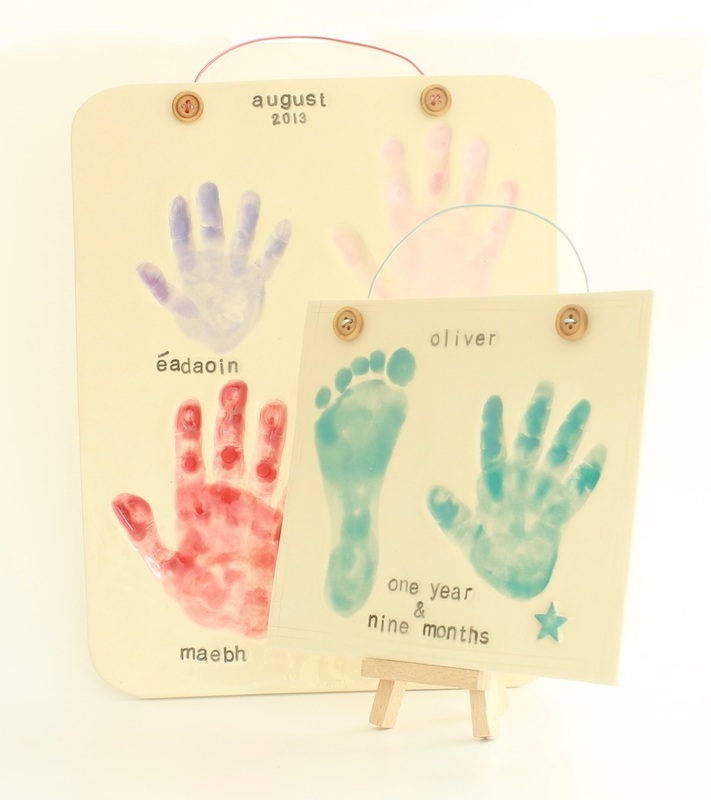 Imprints make lovely keepsakes and take minutes to do! Basically the child or baby presses their hand and footprint into the clay and it is as simple as that! I then have to add details, paint, glaze & fire the piece...which takes a bit longer! Imprints can also be framed. Gift vouchers are available and they make great christening & new baby gifts! Children of all ages can have Imprints taken...family imprints, as shown above are very popular.